The blade-wielding bot takes 24 seconds to pick a pepper. 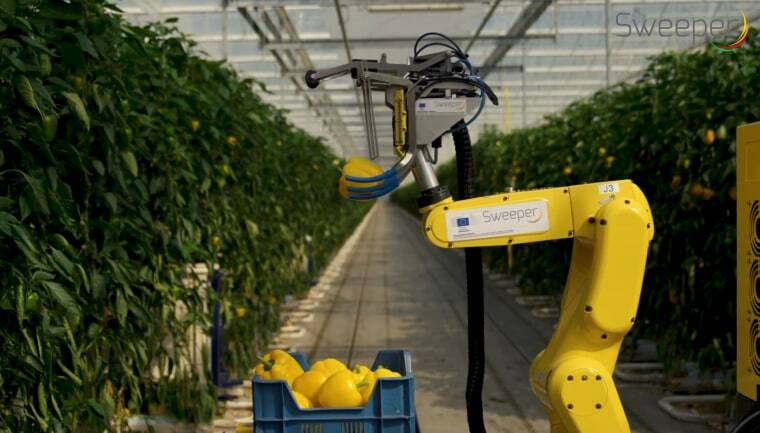 Researchers from Europe and Israel have built a robot that can pick ripe peppers in a greenhouse. The prototype, called Sweeper, is backed by the European Union as part of its Horizon 2020 innovation program. According to Market Research Engine, the agricultural robots market is expected to reach $75 billion by 2025. The creators of Sweeper hope the robot will not only help counteract the farming labor shortage, but also reduce food spoilage. Though Sweeper still needs some work, the team expects to have a commercial version available in three to five years. Want more stories about robots?